This humble little apron means more to me than you would think it warrants. It's a simple design, really - so easy to make, and so gratifying to give to a young child. It represents joyful, messy times together with children, both in my classroom and now in my own home, baking and making art with my little one. But it's more to me than that, even. It was the first sewing pattern that I mustered up the courage to share with others. I remember drafting the pattern while I was still living and teaching in Mexico, hoping that it would be of use to other Montessori teachers and parents as they made materials for their own classrooms and homes. I was nervous putting it out into the world. The basic apron has been a downloadable tutorial on my blog ever since. Before I knew it, I was designing patterns as well as teaching. Now, I'm mothering and designing patterns whenever I can find a moment. (Most moments courtesy of my dear husband, who is Super Dad.) Occasionally, enough of those moments come together and allow me to write a book. 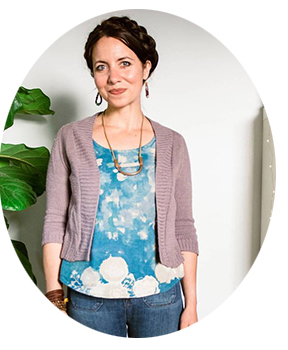 Growing Up Sew Liberated is about to be released (official launch date is June 6) and I couldn't be more excited. It is written for those exact same people I drafted the apron pattern for - but there's oh so much more inside its pages. It was such a joy to write, and I hope that you love it as much as you loved the humble little apron. 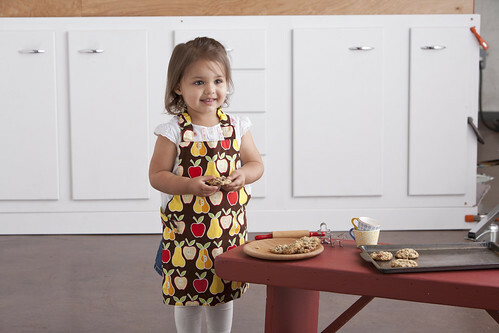 So, with a nod to my roots as a designer, I'm really pleased that Interweave, my publisher, wanted to re-release the child's apron with a few more bells and whistles. 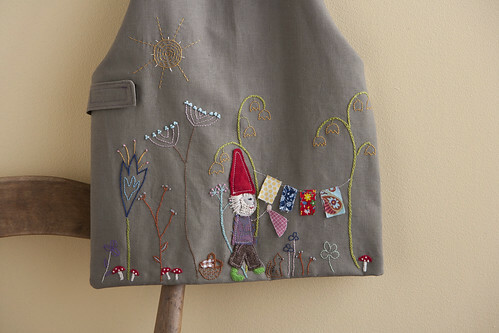 You can read Tricia's write-up about Growing Up Sew Liberated on Sew Daily, where you can also download the new-and-improved Child's Apron pattern. 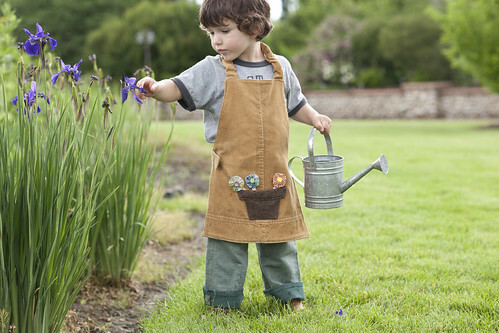 The new pattern features two size ranges (3-5 years and 6-8 years,) as well as instructions on making two new versions of the apron: a waterproof, whimsically embroidered Laundry Day Apron, and the playfull and practical Plant Care Apron. Click here to download the new pattern.